There was a lot of consumer and pro audio press about the introduction of the Mastered for iTunes program, but there are still a lot of music creators and producers who aren’t aware of the program’s details, advantages, or implications. This article explains the Mastered for iTunes program, and why it’s an important benchmark for digital music in general. 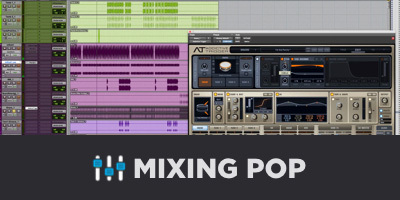 Premastering, which encompasses all of the aesthetic decisions related to preparing a set of mixes for an audience. Premastering answers any questions related to what the record is going to sound like. 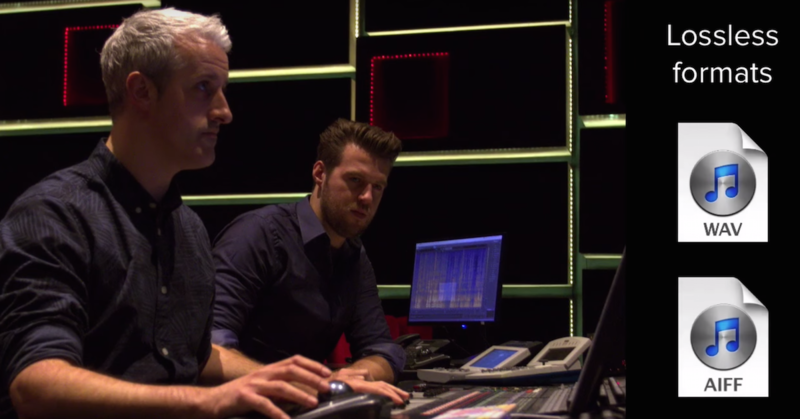 Mastering, which is the process of creating the delivery media that will allow the audience to access the material. In the case of iTunes, this includes encoding an Apple AAC file and adding the appropriate metadata. It doesn’t matter if you’re a major label dealing directly with iTunes, or a self-released artist using an aggregator; iTunes wants a specific digital audio premaster so that they can do the encoding (i.e. mastering) in-house. So what do they want, and how do you know that your master is going to turn out the way you would want it to? That’s precisely what the Mastered for iTunes program is all about. The goal of any digital audio codec is to take a high-resolution or CD-quality digital audio file, and generate an encoded file that retains as much of the subjective audio quality as possible, with a reduced file size. Regardless of anyone’s opinion of any particular codec, if your music is going to be sold on iTunes, it’s going to be encoded by Apple using their variable bit rate 256kbps AAC-LC encoding format. This introduces an important issue. Apple AAC is not lossless. This means the sound of the master may be discernably different than the premaster. The key to managing this off-site encoding issue is to reference mixes and premasters through a round-trip codec plugin that provides real-time auditioning of the Apple AAC process. Apple has provided the AURoundTripAAC Audio Unit for that very purpose. In addition, the Sonnox Fraunhofer Pro-Codec provides the same facility. The purpose of these tools is not to create encoded masters, but to audition them using the very same technology that will be used when they are encoded off-site. If your workstation lacks the technical specs to run these real-time tools, Apple has also provided the afconvert utility. This command-line tool facilitates off-line encoding using the same codec technology as the tools described above. The Apple AAC codec performs measurably better with high-resolution digital audio input than with CD-quality input. A cursory review of the technology behind variable bit rate encoding should confirm this. Listening tests can do the same. To reiterate, a CD premaster is an inferior input to the iTunes delivery system. 24-bit WAV files with sample rates from 44.1kHz-192kHz are recommended. When D/A converters reconstruct a continuous waveform using digital audio data, there are analog levels greater than the maximum peak sample level. 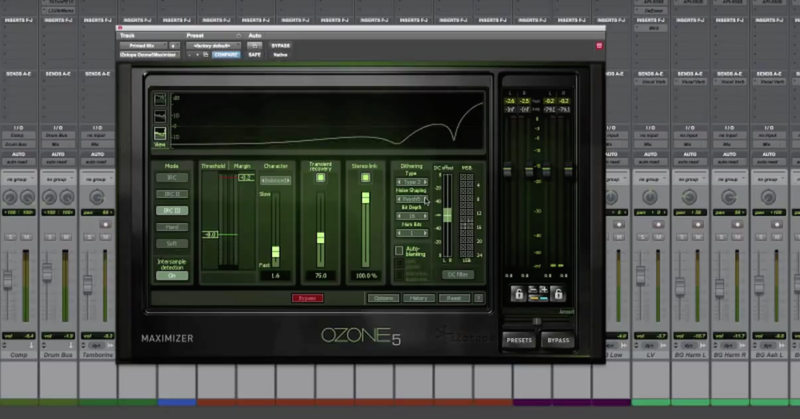 When oversampling is used during playback, this issue can be compounded. It is common practice to leave some amount of headroom to avoid inter-sample clipping, even for un-encoded masters. Many mixers and hopefully all mastering engineers employ reconstruction metering to manage inter-sample audio levels. Apple has also provided afclip, which is a command-line tool for checking both sample and 4x oversampled peaks. afclip provides both quantitative and GUI outputs for locating clips. Bottom line: Apple is requesting 24-bit WAV premasters with native sample rates and “approximately 1dB” of peak headroom. CD-DA is not the primary music delivery medium anymore. The 2012 RIAA Music Industry Shipment Stats showed that, “digitally distributed formats comprised 59% of the total US market by dollar value in 2012, after crossing the 50% threshold for the first time in 2011.” This coincides with a slight, but real, increase in revenue. The RIAA’s Latin Music stats show a similar trend. What is the sense in continuing (intentionally or not) to master strictly for CD-DA? Ignoring a concerted, thoughtful approach to delivering music for digital distribution ignores the statistical bulk of the listening audience. The Mastered for iTunes Best Practices aren’t the least bit obscure or esoteric. In fact, they’re a good de facto standard for virtually any digital premaster delivery. General awareness of such a standard is certainly overdue, if not dangerously late. The best practical argument for ignoring something like the Mastered for iTunes program is that streaming music sources are in the midst of replacing digital download outlets. For some specific audiences this is true, however that observation seems to make a better case for coordinated premaster deliver standards than against. The basic premise behind Mastered for iTunes is that AAC is not CD-DA, so best-quality results require unique deliverables. This has been true (and well-accepted) for vinyl, cassette, broadcast radio, etc. The technology required for listenable streaming music certainly requires a similar (if not more complex) consideration. Mastered for iTunes is a simple standard for providing predictable high-quality results for one of music’s most popular distribution channels. Beyond that, it is an excellent chance for the pro audio community to get in the good habit of carefully considering and accommodating digital music distribution. 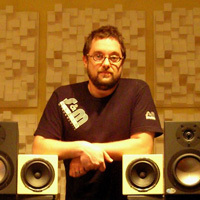 Rob Schlette is chief mastering engineer and owner of Anthem Mastering, in St. Louis, MO. Anthem Mastering provides trusted specialized mastering services to music clients all over the world. 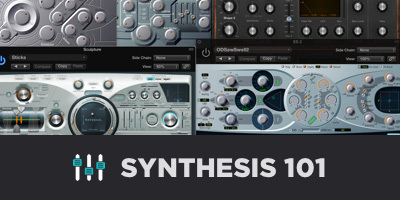 What is Mastering in 2016?